Why do Eastern-Orthodox reject the doctrine of total depravity? Considering evidence like, Matthew 7:11, Romans 3:10-20. This answer summarizes portions of the argument against total depravity presented by Alexander J. Renault in his book entitled "Reconsidering TULIP". Eastern Orthodox Christians agree that sin has weakened human beings so that we are unable to come to God apart from His grace in our lives. But we diverge on whether this is a special grace given only to an elect few or a general grace given to everyone—with Orthodox Christians firmly believing the latter. Furthermore, Eastern Orthodox Christians do not believe that human beings are unable to come to God due to any fundamental change in human nature (i.e., original sin), but rather due to the environment of sin and death in which we operate. Humans thus sin because of garbage that is foreign to human nature, not because of sin being intrinsic to human nature. Humans cannot be intrinsically sinful in their essence (i.e., "sinful nature"), lest God be the creator of sin. The most prevalent objection to this is that human beings were created with a good nature but that nature changed. A nature cannot change itself. A rock is still a rock even if all rocks are destroyed. The essence of a thing remains. Only God can change a thing's essence (or nature). If God changed human beings' essence, then He is still the author of sin. The Church has historically taught that God created all human beings with a good nature. Humans are created in God's image—we are icons of God. Humans are bound by sin and corruption, but this is like burying a gold bar in a pile of horse manure—it doesn't change the fact that there is gold (the essence has not changed). Sin has no power to destroy God's creation nor to alter it. Total depravity confuses person with nature. Early Greek-speaking Christians used the terms hypostasis (ὑπόστασις) for "person" and ousia (οὐσία) for essence (or nature). The word "person" and the Latin concept is part of the problem here, compared to the Greek word and concept of hypostasis, but there isn't time nor space to elaborate on this here. As a notable example of this, the doctrine of the Trinity was formulated in early Christianity stating that God is one in essence (ousia), but with three persons (hypostases). Choice is a function of personhood, not nature. As such, it is incorrect to say that human beings have a corrupt nature that makes us unable to choose anything other than sin. As an example, holiness is part of God's nature. Thus it cannot be separated from the Father, Son, or Holy Spirit (persons). On the other hand, "incarnation" is a personal attribute of the Son. Sin is a personal attribute, not natural/essential. If human beings chose to sin from our natures, then all of our actions are simply the result of whatever our natures dictate. By that same line of reasoning, God is also not free to act outside His nature (undoubtedly some Western Christians do believe in this notion that God Himself is bound which the Cappadocian Fathers and others rejected as pagan philosophy: Ananke (Ἀνάγκη, i.e. "Necessity")), and so God Himself has no free choice. Eastern Christians emphasize that God created and redeems by His free choice, not out of some necessity of the divine nature. If God could not choose to do anything else because of His nature (here assuming the confusion of person with nature inherent in the doctrine of total depravity), then ultimately God is the creator of both good and evil (i.e., omnicausal). Underlying this is a historical debate about preceding causes and free choice, but for the sake of time I'm moving on from this. Thinking through these implications is an exercise left for the reader. If the very nature/essence of human beings is sinful, then God cannot love us because He would love sin. In order for God to "hate the sin but love the sinner", it follows that sin is distinct from (i.e. not part of) human nature. If sin is part of human nature, then either (i) God loved humans before the fall (but not anymore) or (ii) God doesn't really love us (at least not as we are) or (iii) God doesn't love all human beings (only the elect). If you're a staunch Calvinist, you may not have a problem with iii, but from an Orthodox perspective, this God would be a very unloving parent who makes demands from His children (e.g., repent) that they are unable to fulfill. But this would also have to mean that the elect have a different nature than other humans, which is problematic. Underlying a lot of this are classical debates on free will (compatibilism vs. libertarianism vs. determinism). 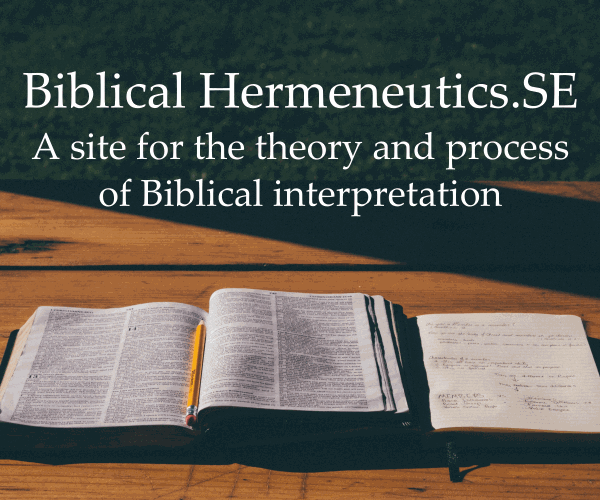 The reader is left to read philosophical works on these topics as an exercise (or check out this one-hour talk by Jerry Walls that does a decent job of addressing this from an Arminian perspective). If Christ did not have a human nature, then He cannot save humanity. The Church has historically taught that Jesus is fully human and fully God (this was dealt with extensively in the first few ecumenical councils). This is necessary else He could not bridge the divide between humanity and God (see Hebrews 2:17). Jesus must have had a human nature for this to be true. And yet He was without sin. If he had a different nature from the rest of humanity, then He was not truly human. Either (i) Christ was sinful (because he had the same nature as us) or (ii) Christ wasn't fully human and thus cannot save us. "Have this in your mind, which was also in Christ Jesus, who, existing in the form of God, didn’t consider equality with God a thing to be grasped, but emptied himself, taking the form of a servant, being made in the likeness of men. And being found in human form, he humbled himself, becoming obedient to the point of death, yes, the death of the cross" (Philippians 2:5-8). I would also recommend to the interested reader to check out James R. Payton, Jr.'s Light from the Christian East, especially chapter 6 entitled "Humanity as Created and Fallen". Genesis 1:26-7, 31 — Humans are created in God's image, and God declared His creation "very good". In subsequent texts concerning "the fall", there is no mention of human nature being changed. In fact, Cain is told by God that he is to "rule over" sin (Gen. 4:6-7). Later in Gen. 9:6 (post-fall), God affirms to Noah that humans were created in God's image. Proverbs 8:36 — Biblical wisdom literature indicates that sinning against God is unnatural (i.e. against human nature). As in Prov. 25:4, humans are intrinsically valuable (silver), but operate in an environment of sin and death (dross). Mark 6:5-6 — Why would Jesus marvel at the peoples' unbelief if they were totally depraved and incapable of faith? Jesus' surprise indicates that they could and should have believed. Romans 7:14-25 — Paul makes a clear distinction between "me" and "my flesh", indicating that it is not an intrinsic part of his nature (despite the awful translation of "flesh" as "sinful nature" by the NIV translators). I know some may use this passage as proof of total depravity (Paul could be taken to be saying he is incapable of doing good, despite this not being how this passage has historically been interpreted by the Church, e.g. see St. Chrysostom), but it is important to note Paul's careful distinctions between his personal will and how he sees "a different law in my members", not "in me", etc. Finally, in v. 24, Paul doesn't cry out to be delivered from himself (that is, his nature), but from "the body of this death". Unfortunately I don't have time to devote to this beyond saying that Augustine is largely responsible for much of these ideas, and was heavily influenced by Manichean Gnosticism and significantly toned down at the second council of Orange (specifically fatalism/predestination). The Church had historically affirmed the free will of human beings to choose God before this notable exception which came to dominate Western (Latin) theology (others have written extensively on how Augustine knew very little Greek and was trained in rhetoric and philosophy but not theology, not to mention he frequently claimed that his own teachings were speculative). But this section is unfair without additional sources, and so I commend to my readers Jaroslav Pelikan's excellent treatment in The Christian Tradition: A History of the Development of Doctrine, Vol. 1: The Emergence of the Catholic Tradition (100-600), especially chapter 6 on "Nature and Grace", particularly pp. 292-331. Jesus became a human being so that we might become [like] God, "becoming by grace what God is by nature"
First off, it's important to note that the Roman Catholic Church also rejects total depravity, as found in the writings of Luther and Calvin. To be specific as to what that is, I'll quote Calvin: "The will is so utterly vitiated and corrupted in every part as to produce nothing but evil" (Institutes, II, 2, 26). The idea of total depravity comes from a misreading of Scripture and of Augustine. Augustine never denied free-will and man's capacity to walk into God's grace. Man, as witnessed in Scripture, can know the Law of God in their heart (Rom. 2:14–15). The Eastern Church does not throw away the grace of God, in fact, it is by grace that the Church affirms salvation. They, too, do not believe humans are depraved through inherited guilt. Rather, they subscribe to an understanding of sin as inherited consequence (death), but not inherited guilt, as Adam and Eve were the two that committed the sin. Not the answer you're looking for? Browse other questions tagged eastern-orthodox total-depravity or ask your own question.